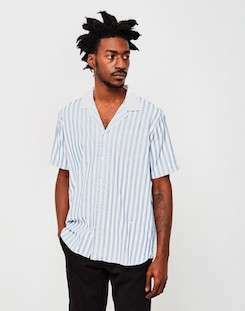 Stripe T-shirts and shirts are amongst some of the most important pieces in menswear fashion for Spring/Summer 17. This trend is nothing new but there's a reason why it's extremely popular and thus never fails to be included in seasonal collections. For us at The Idle Man, it's no different scenario. Here's a quick breakdown on how to integrate stripes into your wardrobe. Some of the strongest colours for the season are actually quite soft in their shades. Across all international catwalks, the presence of tonal dressing was undeniable. Soft, dusty pinks and stone colourways are the protagonists. It's with these neutral palettes that you have the freedom to introduce some stripes to your looks. 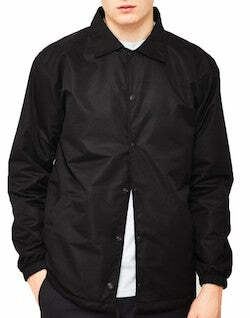 They're the perfect addition to any smart or casual outfit. 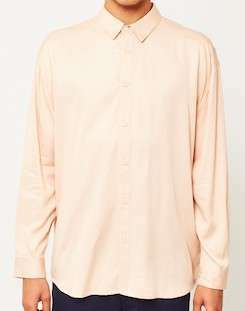 Pair a long sleeve Breton T-shirt with our very own viscose pink shirt. 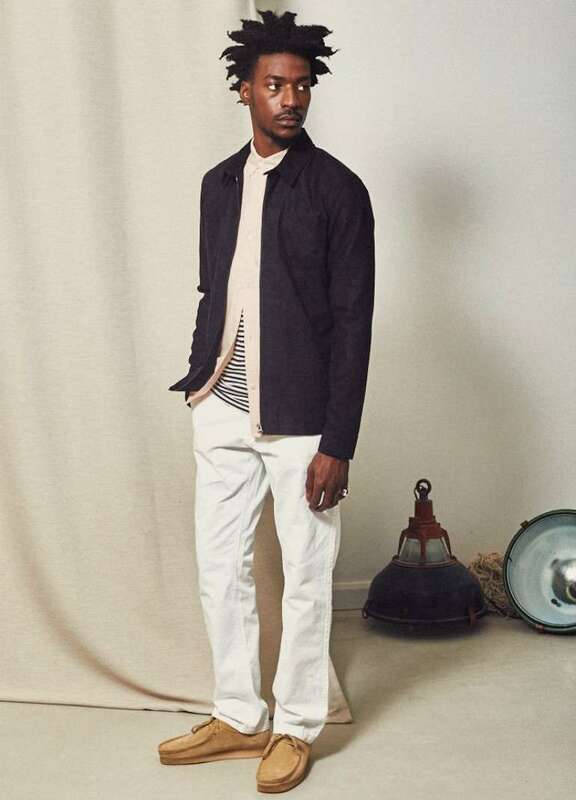 Top everything off with a navy lightweight jacket to make that pastel pink really stand out and a pair of wide-legged chinos and suede Wallabee shoes. 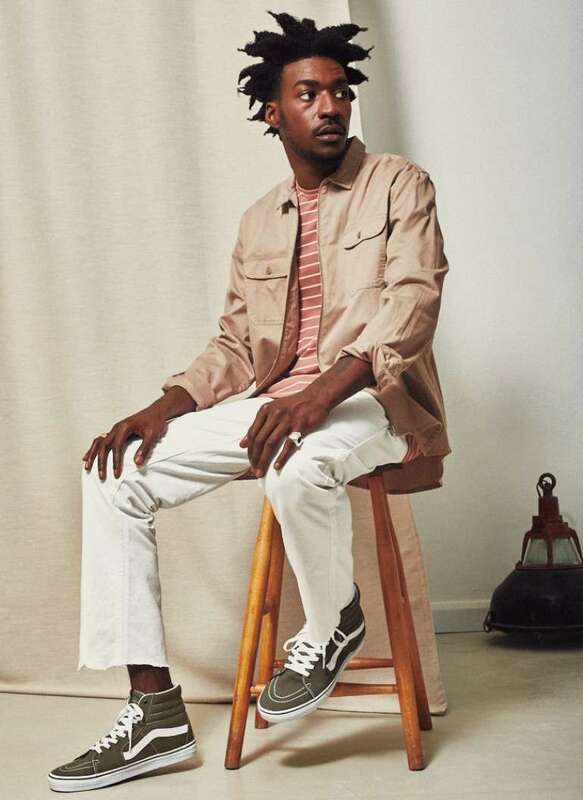 Riding the seasonal wave of earthy tones and pastel colours, team up The Idle Man's utility overshirt in stone with a soft jersey T-shirt in pink stripe. 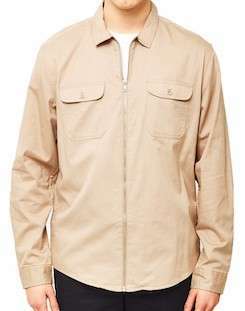 You can also add a bit of distressed detail to your outfit by going for a pair of raw hem chinos. 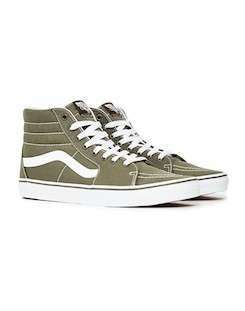 Complete the look with a pair of khaki high top Vans to take advantage of the cut off ankle proportion. 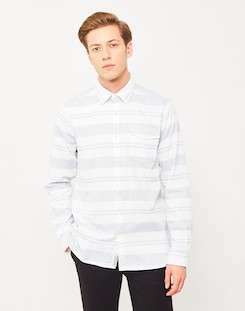 As we've mentioned before, stripes are the perfect companions to smart-casual looks. 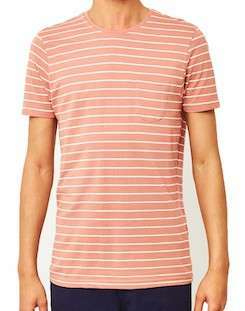 That also includes classic shirts with striped patterns. Whether you choose to pair them with jeans or chinos, you'll be able to achieve a much coveted and always timeless French Riviera look. 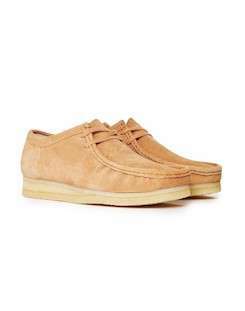 Complete the look with a pair of trainers or loafers depending on the occasion. 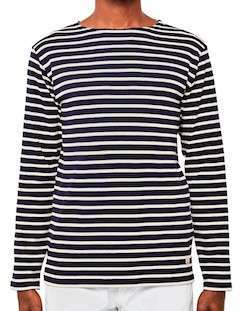 Whether you're into the Parisian chic look or you simply appreciate the versatility of stripes, these T-shirts and shirts are something you can't live without. You can combine them with the natural tones that Spring/Summer always brings in whilst adding a graphic twist to your outfits. Follow the link below to check out the latest additions to our website and discover your new wardrobe essentials.